Reflect about Goddess Shakti. 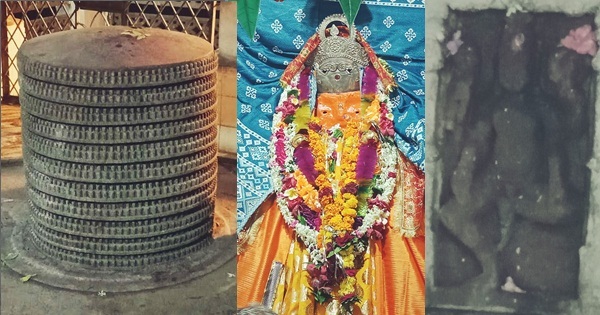 She is Kamakhya in Guwahati, Sharda in Maihar, Bimala in Puri, Chakrak Maa in Chobimura, Chandi in Bengal. A thousand names identify her existence in shrines and hearts. At Chanderi in Ashok Nagar district of Madhya Pradesh, she is known as Jageshwari Mata. 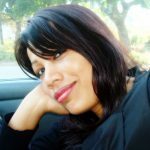 She is a Swyambhu, i.e. self-manifested in an open cave unlike idols and sculptures of deities created by artists. The historicity of Chanderi dates back to the Mahabharata period. 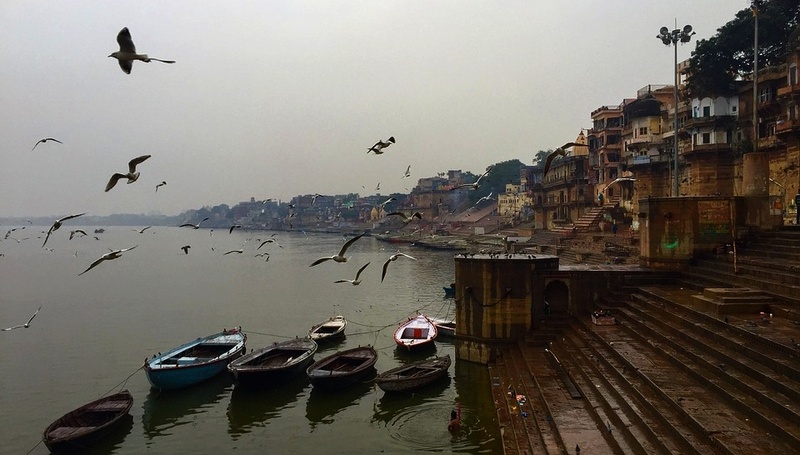 The kingdom flourished during the Gupta era and then under the Gurjar Pratihars. Over time, it fell under the rule of several dynasties including Chandelas, Bundelas, Islamic invaders, Marathas, Scindias, and British. The region is abound in Gupta era temple ruins including temple structures built by the Gurjar Pratiharas, Chandelas, and later rulers. Oldest existing ruins date back to the 4th century. The antiquity of Jageshwari temple dates back to the Mahabharata period during the reign of Shishupal. Chanderi was then called Chedi. Shishupal was Krishna’s cousin. His mother Srutashrava was the sister of Krishna’s father Vasudeva. As per legend, he was destined to die at the hands of Vishnu’s incarnation, i.e. Krishna. He and his maternal cousin Dantavakra were believed to be the human form of Jaya and Vijaya, the gatekeepers of Vishnu. It was their third birth. It was believed Jaya and Vijaya took no further births and found a permanent place at Vaikuntha, Vishnu’s sacred realm after this. According to the temple priest, Shishupal was a staunch devotee of Goddess Shakti. Pleased with his devotion and penance, the Goddess appeared embossed in an open cave. Shishupal built a temple in the cave premise and started worshipping her. Devotees from far and near visited the temple. The temple was renovated over time. Though there is no structural evidence from the Mahabharata era at present, certain elements of the temple date back between 6th to 11th centuries and later periods. According to one account, while Chedi Naresh Shisupal was on a hunting spree in a forest, he lost his way. He felt thirsty, but there was no source of water near him from where he could quench his thirst. He suddenly noticed a woman in the forest. He called out to her asking for water. The woman was actually a goddess. 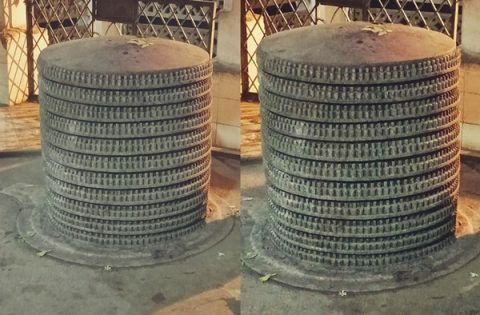 She created a water tank for the king at the spot. The king drank water from the tank to his heart’s content. At the same time he was puzzled how the tank appeared from nowhere at the forest. He asked the woman how he could repay his debt. She asked him to build a temple with a curtain around the sanctum. She also laid a condition that the curtain should neither be removed nor should anyone peek at the sanctum during these nine days. The king build the sanctum as requested. But his curiosity gave way. He drew aside the curtain before the completion of the 9 days. He saw a head with no body. And since then, it remained as it is. This idol of the goddess with only the head is Jageshwari Mata. Chanderi city boundaries expanded during the reign of Gurjar Pratihar king Kirtipal. He built the present Jageshwari temple. Local folklore and ballads mention volume about the Gurjar king. Remnants of the ancient temple and a kund are still visible at the temple site. The main idol of the temple is the face of the Jageshwari Mata located in an open cave. The present structure around the cave has been constructed to accommodate devotees who throng the temple round the year to seek blessings from the Goddess. Several natural springs flow down the cliff side round the year near the shrine. The water is considered sacred and believed to have healing properties. There are several subsidiary shrines, mostly of Mahadev, in the temple premise. Jageshwari temple is counted as one of the fifty-one Shaktipeeths. According to legend, Mahadev, carrying the body of the dead Sati, was all geared up to destroy the world. Vishnu came to the rescue by cutting the dead Sati’s body into 51 pieces. There are 51 Shaktipeeths at the 51 places where the pieces fell. The head of Goddess Sati is believed to have fallen at Chanderi at this site. The Goddess is thus represented by her head at this temple. There are two temples where the parts of the head of Sati are believed to have fallen. The other temple is Surkhanda Devi temple in Tehri Garwal region in the Himalayas. To reach Jageshwari Mata temple, one has to climb a long flight of stairs from the foot of the hill. There are several routes to the temple premise. One route worth mentioning here is a descend via a steep flight of stairs from near Kirti Durg fort. The site is also reachable by vehicles. Within the temple complex is a huge Shivalinga the surface of which is carved with 1100 lingams. We have heard about the Sahasralinga (meaning thousand lingas) in Uttara Kannada of Karnataka where a thousand lingas are carved on rocks in the Shalmala river. Most of the lingas remain under water while hundreds of lingas are visible, especially when the water level in the river is low. 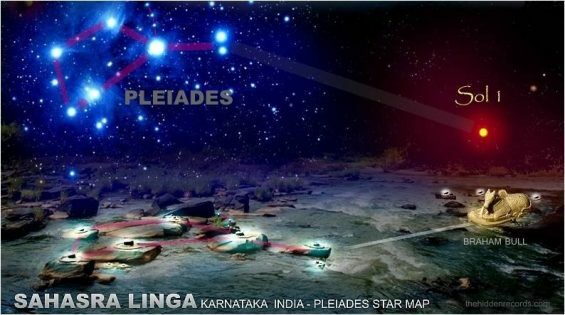 According to Mark Amaru Pinkham, a researcher on culture of different regions across the world, ‘Pleiades is represented as 7 rock-carved lingams placed strategically in the shape of the Seven Sisters at Sahasralinga site. Nandi, the sacred bull, sits directly across the river from this Pleiadian configuration, thus indicating that the Hindu Rishis knew that Pleiades is indeed a Shiva Lingam’. Pinkham further points out that ‘priests of the Bull Cult, followers of ancient Shaivite culture, were aware that all stars and star clusters are lingams – a truth that can be proven through Sacred Geometry. This is why they generate immense cosmic power in the heavens. This is especially true of the Pleiades, which as mentioned is associated with the Bull Son and his symbol, the Shiva Lingam. The power of the Seven Sisters both creates and feeds our Earth and Milky Way Galaxy’. Kotilingeshwara temple in Kammasandra village in Karnataka has one of the largest lingams in the world. The huge Shivalinga measuring 108 ft tall with a 35 ft (11 m) tall idol of Nandi is surrounded by lakhs of small lingas spread over an area of 15 acres! When was the Jageshwari temple Shivalinga with 1100 lingams created? What was the purpose of creating the unique Shivalinga? According to the priest of the temple, this Shivalinga is several hundred years old. Another Shivalinga in the temple premise has four faces on it. As there are no literary evidences or feedback by experts, we can only believe what the priest of the temple confirmed. 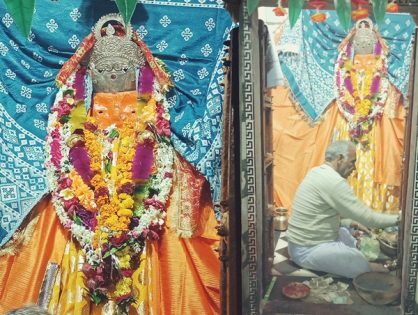 Janki Prasad Chaubey, the temple priest, said his ancestors served the Goddess as priests ever since worshipping started in Jageshwari Mata temple. Though he is not able to mention the exact date, he confirms hundreds of generations of his ancestors have been conducting pujas at the site. And that he is carrying the legacy forward. 2. One to one conversation with Jageshwari temple priest, Janki Prasad Chaubey, whose family have been serving as priests since the time worshipping started in this temple.